This sequence of four images from the spacecraft's Surface Stereo Imager covers a period of 20 minutes from beginning to end of the activity. 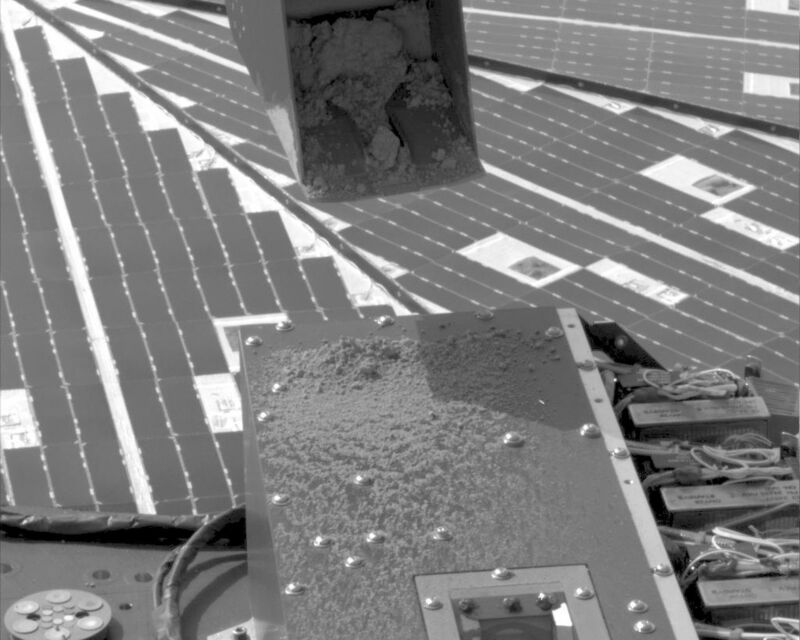 In the single delivery of a soil sample to a Phoenix instrument prior to this test, the arm brought the scooped up soil over the instrument's opened door and turned over the scoop to release the soil. 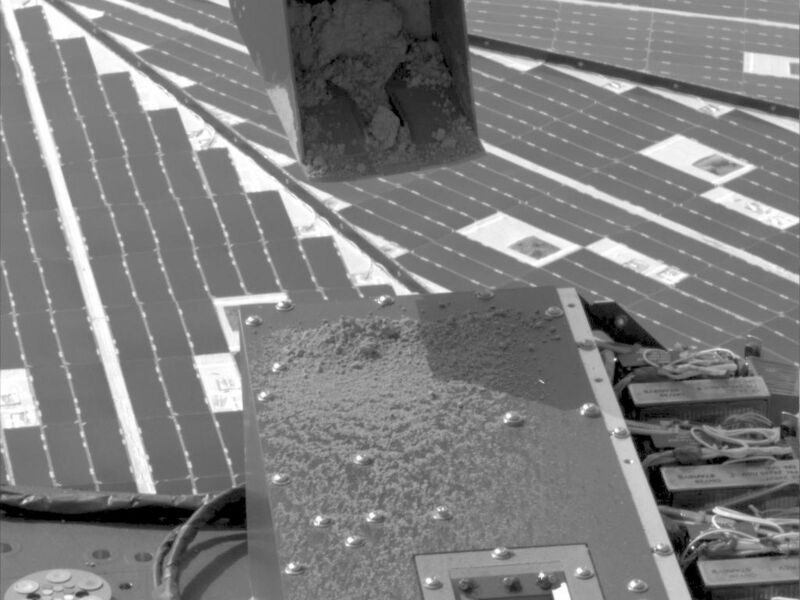 The sprinkle technique, by contrast, holds the scoop at a steady angle and vibrates the scoop by running the motorized rasp located beneath the scoop. This gently jostles some material out of the scoop to the target below. For this test, the target was near the upper end the cover of the Microscopy, Electrochemistry and Conductivity Analyzer instrument suite, or MECA. The cover is 20 centimeters (7.9 inches) across. The scoop is about 8.5 centimeters (3.3 inches) across. 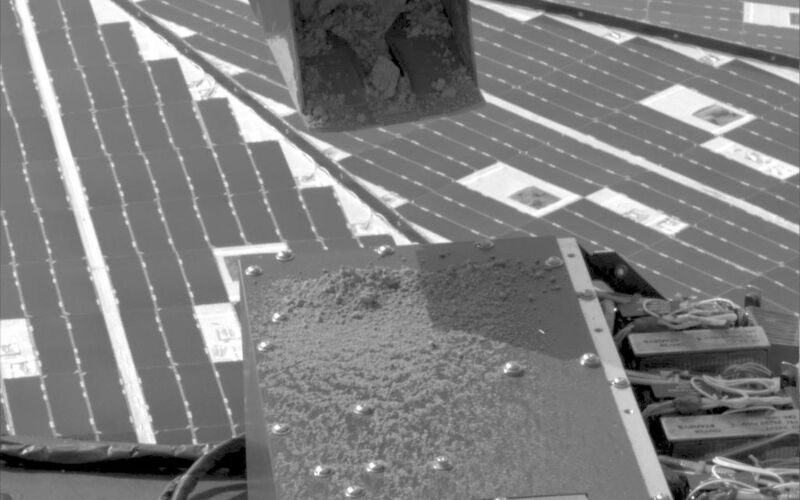 Based on the test's success in delivering a small quantity and fine-size particles, the Phoenix team plans to use the sprinkle method for delivering samples to MECA and to the Thermal and Evolved-Gas Analyzer, or TEGA. 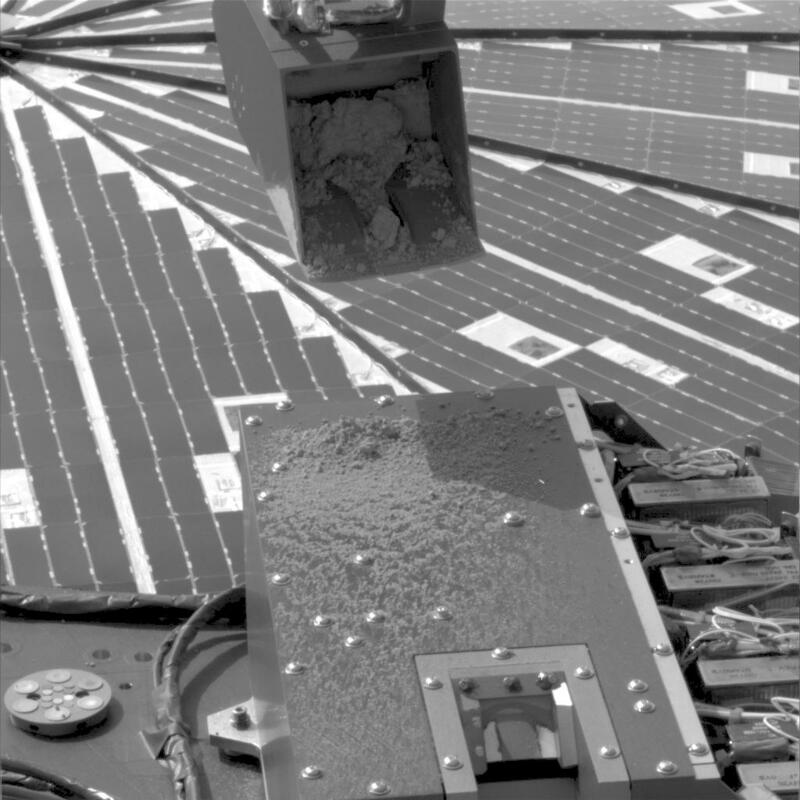 The next planned delivery is to MECA's Optical Microscope, via the port in the MECA cover visible at the bottom of these images.